Liverpool manager Jurgen Klopp is set to leave out English midfielder Jordan Henderson from his side’s starting line-up against Southampton at St Mary’s tomorrow. This is according to the Independent, who are reporting that the former Sunderland man is set to start from the sidelines against the Saints tomorrow, with the German already having an eye on his side’s upcoming Champions League clash. 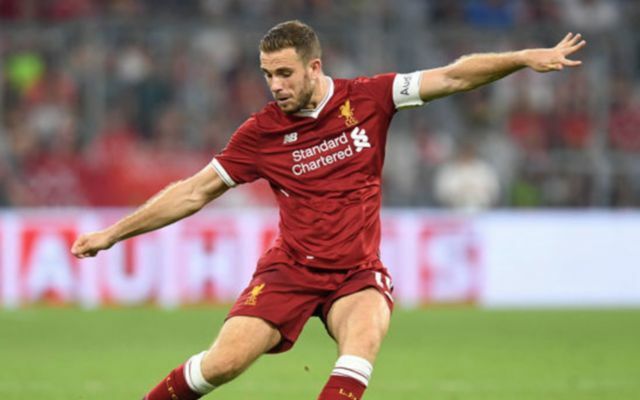 The news outlet are also reporting that Henderson, who cost the club £20M when he moved from the Black Cats in 2011 as per the Guardian, has only recently returned from injury, and that Klopp isn’t eager on risking the player when he’s not 100% fit. Since moving to the club from Sunderland in the summer of 2011, Henderson has managed to establish himself as one of the first names on the team sheet Anfield. During his almost seven years at the club, the England international has managed to take over from Steven Gerrard as captain for the Reds, showing that Klopp must rate the player’s leadership skills very highly. In his six and a half seasons on Merseyside, the former Black Cats ace has managed to clock up an impressive 265 appearances, scoring 24 and assisting 40 in that time. 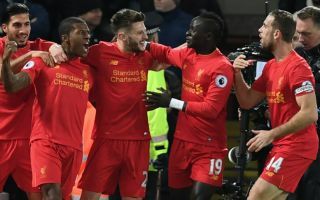 The player’s determination, leadership skills and high physical presence has seen him cement his place into Jurgen Klopp’s starting line-up. Should Liverpool end up being defeated by Southampton on Sunday, it makes you wonder whether staring Henderson would’ve made the difference for the Reds. With Spurs winning against Arsenal on Saturday to go above the Reds in the table, this match against the Saints is key if Klopp’s side want to secure Champions League football for next season.